The rise and demise of motels in America can be traced alongside some of the country’s major historical events, beginning with the invention of Henry Ford’s Model-T and extending to when President Eisenhower signed the Federal Highway Act of 1963 into action. Motels had largely fallen out of the public eye, but now it seems they are making a comeback. Harkening back to their vintage and retro roots, motels today are offering visitors an authentic experience that corporate hotel chains are restricted from pursuing. To understand the evolution of American motels, we have to look back to when long distance travel was a new adventure for Americans – an excitement that prompted the birth of an industry. Henry Ford introduced his Model-T to the world on October 1, 1908. When it reached the market, is was priced at an astounding $360 and for the first time, working class Americans could afford to purchase a vehicle. In 1914, 250,000 cars had sold and by 1918, Ford’s “Tin Lizzie” made up half of cars on the road. Ford continued production until late 1927 and by then over 15 million cars had been sold. Americans now had the wheels they needed to foster an ease of travel, however overnight accommodations remained largely unavailable. Inns from the Colonial Era dotted the landscape, but they were few and far between. West of the Mississippi, traveler’s main option for lodging was camping, while the east held mainly expensive inns. Recognizing this need, locals began allowing travelers to rent out a room in their own homes for a small price. A sign reading “Rooms for Tourists” hung from the front doors of homes that were open to the accommodation. They offered a comfortable place to sleep with the added benefit of modern appliances. The catch was that these were mostly located in towns and neighborhoods. This meant travelers would have to venture further away from the highway and city centers, making these options somewhat less appealing. Influenced by the Great Depression in the 1920s, camping became the most popular choice for travelers. As it happened, it was also an easy market to break into. Rural farmers and businessmen learned how to profit from the industry by building a few rickety shacks on their property and striking a deal with an oil company to put up a gas pump. These makeshift camps came to be known as “cabin camps.” For example, at the U-Smile Cabin Camp, guests would sign into a registry and pay a small sum to receive a space for the night. A cabin without a mattress was one dollar, a mattress for two people costed an additional 25 cents, and blankets, sheets, and pillows were another 50 cents. In the 1930s and 40s “cottage courts” arrived on the scene. Typically, each grouping of cottages had a theme like “rustic” or “ranch,” and were built on a public lawn. They closely resembled houses with small porches, chimneys, and driveways. For the first time, air conditioning, heating, and decent food were available for travelers if they stayed in one of these accommodations. The ease and excitement of road tripping through America shifted in the mid-20th century when the United States entered World War II. In an effort to generate huge amounts of supplies to ship overseas, everything one needed to maintain a car was rationed: tires, gas, aluminum, and steel. An industry that had just started to gather its footing was halted, and began to decline until the war ended. After the war, President Eisenhower turned his attention to building the largest interstate highway system the country had ever seen. In 1956, he signed the Federal Highway Act, which allocated $75 million for the project. It was during this time that the modern motel began to take shape. The previous version, consisting of several individual cottages on a single property, was condensed to have many rooms all under one roof. The name “motel” was coined by the owner of Milestone Mo-Tel, which was short for “motor hotel,” in San Luis Obispo, CA. The term referred to a lodging space, usually two or three stories, with exterior corridors and rooms that overlook a central area, be that a yard, parking lot, or pool. 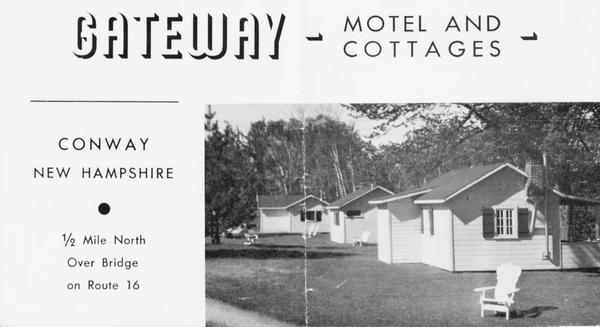 In 1964, there were upwards of 61,000 independent motels across the United States. By 2012, that number had dwindled to just 16,000. In recent years, what remains of the auto camps or tourist courts has mostly been preserved by local committees, but no longer served as a common place for travelers to spend a night. It wouldn’t be until 2014 that motels again began to draw the attention of travelers. Just outside Grand Teton National Park in Jackson Hole, Wyoming, the Mountain Modern Motel opened in May 2017. It wore all the famed characteristics of a motel, but with the added bonus of modern amenities that were styled with classic rustic touches: red plaid decorations, tin camping mugs, and more. The aesthetic contributed to the outdoorsy vibe of the town it was built in. The Mountain Modern Motel was not the first motel to open and revamp the traditional motel style, and many independent motels have begun looking for new ways to market to modern consumers. These motels often prescribe their décor to a theme that filters throughout every room, and also offer events, activities, and most importantly, a sense of community for their guests. These various efforts meant that by 2014, motels were beginning their comeback. In modernizing their look, motels across the country began garnering the attention of tourists. Miami’s Vagabond Motel, dating back to 1953, completely redesigned its fan-favorite mermaid and dolphin pool and altered their rooms to adopt a retro theme. 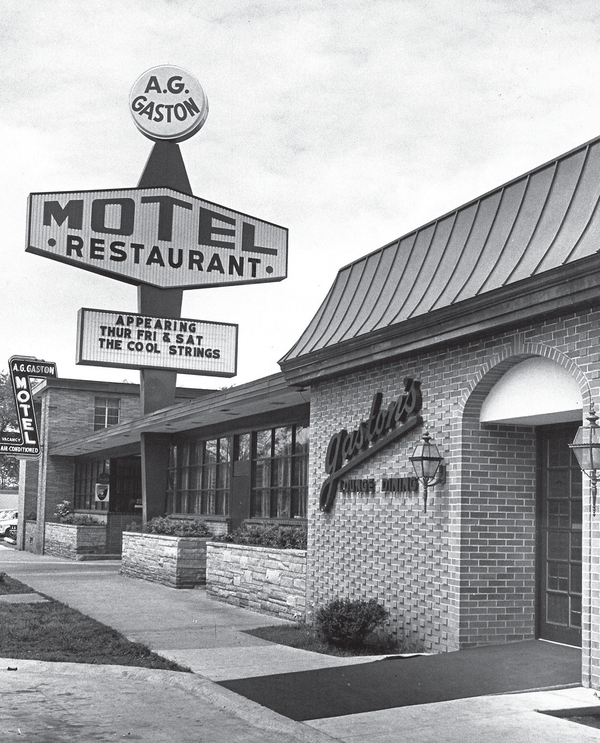 To accompany design overhauls, several motels began offering events and activities. In San Diego, The Pearl invites their guests to watch movies on Wednesday nights around the pool. The Drifter in New Orleans, whose decorations are inspired by the region’s Beat Generation, offers poolside yoga classes, immersive art shows, and live music. In Greenport, New York, The Sound View has a restaurant, piano bar, and a private beach. Today, 21st century motels are learning how to thrive on their mid-20th century roots, keeping with their classic charm, whilst offering visitors the same accommodations they would receive at a larger corporate hotel. These small motels have the added benefit of getting creative, offering a sense of nostalgia that is difficult for corporate hotels to accomplish. This desire for a unique experience it often named as the reason for the increase of interest in motels. From their origins as campgrounds in rural America to the themed destinations they are today, motels have earned a name for themselves in their ability to shift and evolve with the demands of the ever-changing American travel industry.